A one-way ticket to Cuba! Our derbies are standard sized. Order your usual shoe size! The leather Pull-up is a greased leather, which, when stretched, becomes lighter and then once more released, resumes its original color! In addition to having a beautiful finish and an incredible patina, this greased leather is designed to be particularly soft and durable, especially in the rain. You should know that lighter marks will appear very quickly in the area where the foot folds. This is explained by the fact the leather grease moves. Your shoes will recover their original appearance just as quickly by rubbing them with seal grease. It is this patina finish that gives all its charm to this particular leather. The little doe (Biche) is beautifully embossed, hot stamped in the leather, at the back of this model. Discreet, the doe will accompany you everywhere! The 2.5 centimeter heel is made out of leather. 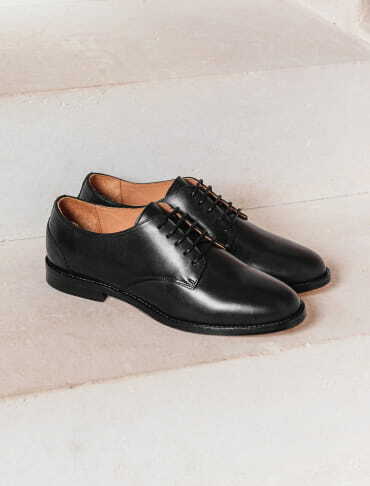 The heel block top piece is beveled with at the back a natural rubber pad and at the front a leather layer, nailed to the heel by 8 small brass nails. The leathers used are very natural leathers with a vegetable or semi-vegetable tanning. Our artisans are extremely careful and cautious during the cutting phase, in order to select the most beautiful parts of the skin to ensure you enjoy the most beautiful, soft and comfortable shoes. 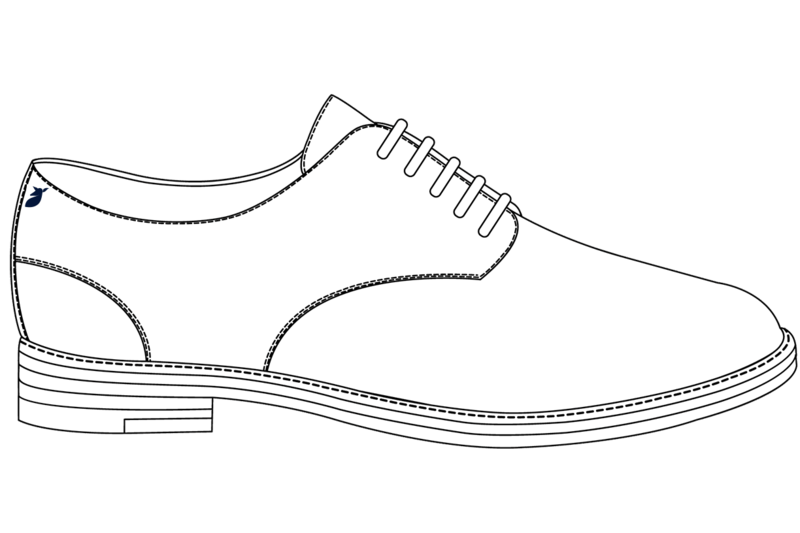 The leather sole is attached to the upper by a Blake stitch. This technique guarantees both flexibility and finesse. Blake stitching also guarantees great longevity, since your cobbler is able to re-sole your Chelsea boots. 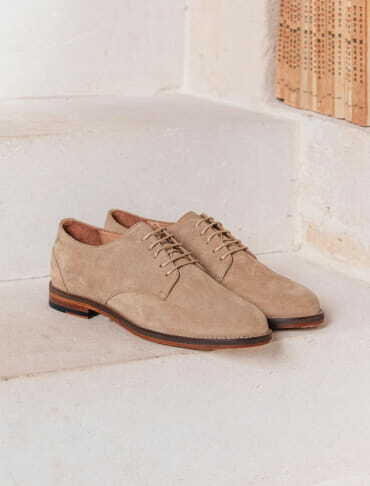 The soles of these Derbies shoes have an extra layer made out of natural rubber to give the shoe a better thermal insulation, increased cushioning, as well as a lot of style! Leather is also a naturally breathable material ,this is the reason why we chose it for our soles!